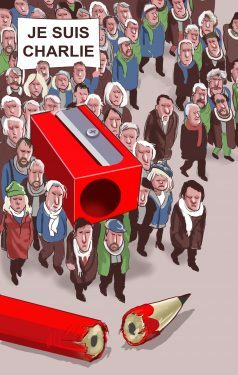 With thanks to the global cartooning community, including this cartoon by Turkish cartoonist and former CRNI Courage Award winner Musa Kart, CRNI contributor Joanne Conger has compiled a gallery of close to 500 cartoons from around the world. We will continue to update this gallery and follow the aftermath of the attack on the offices of Charlie Hebdo in Paris, and with our mission to defend political cartoonists on the front lines of free speech, who are all too often the first victims of those opposed to freedom of expression. Nous sommes Charlie! 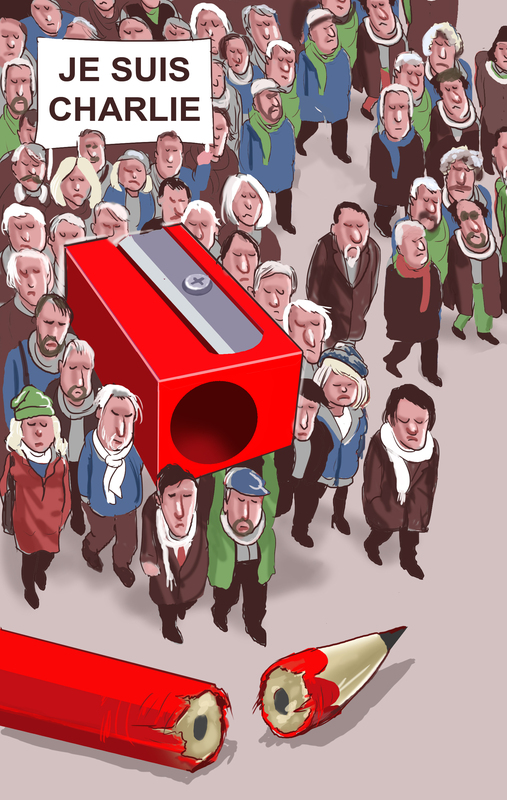 For further updates on this and other news about the plight of political cartoonists under threat worldwide, please follow us on Twitter and “Like” us on Facebook.To support our work and these brave cartoon journalists, we ask you to please consider making a monthly contribution to CRNI.